And the fallout continues. The popular file hosting and sharing website Mediafire, which is one of the best file hosting sites on the Internet thanks to the straightforward system it uses, has started to block direct incoming links from the popular file indexing and search service FilesTube. When you look at how Mediafire handles download pages on their site, you will notice that they have attributes assigned to them that asks search engines not to index those pages at all. 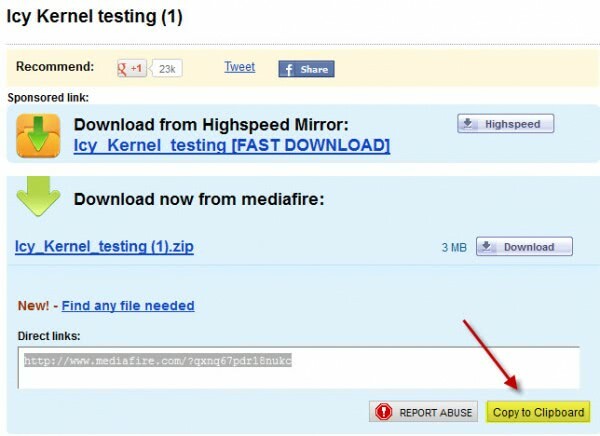 While that does not work 100% of the time, which you can verify by searching on a search engine like Google or Bing for site:mediafire.com term, it is working for the majority of files hosted on the site. Mediafire's issue here is that these attributes can be ignored quite easily, so that the files hosted by the service are indexed. While you won't find companies like Google or Bing doing this, third party services such as FilesTube do. I can't really say how Filestube indexes contents, if it is only user submitted, or if the site sends outs its own bots that is crawling the Internet for new links. Users who copy the link directly on the other hand and paste it into a browser tab can download the file from MediaFire just like they could before. The only workaround for now, is to copy the link and paste it manually into the web browser or a third party download program like JDownloader. Right, modifying the referral fixes the issue as well. Rapidshare has also been doing this for the past 15 days. Most people posting file links on index sites are using file name shorting services to disguise the source of the links (and no doubt in some cases to generate revenue). I imagine at some point all those links will be blocked by file hosting sites, although that may prove difficult justify. People also usually disguise the file name to make it harder for hosting services to see which are copyrighted files. Sooner or later everyone will either go back to private (S)FTP sites and Usenet or simply use foreign sites in low IP enforcement countries and proxies to get to them. It’s a totally losing battle for the IP enforcers. It’s not even clear they will manage to keep Megaupload down or convict them of anything, since the morons at the DoJ didn’t serve criminal charges against the company because it’s a foreign company. once you paste it to bar, can your download be tracked by the copynazis?